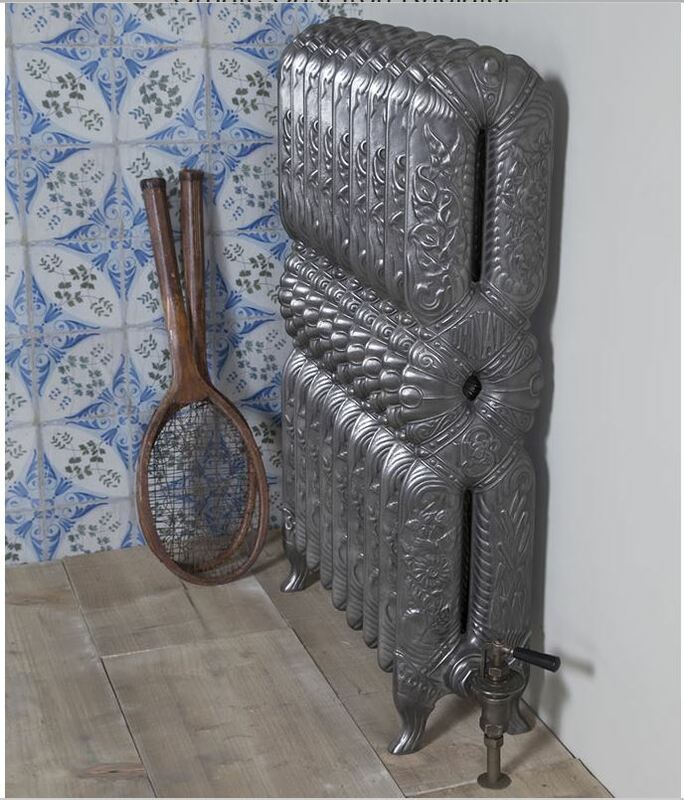 First used in turn of the 20th Century, the highly decorate Ornate cast iron radiator is reminiscent of the Art & Crafts era and is adorned with floral and natural patterns. 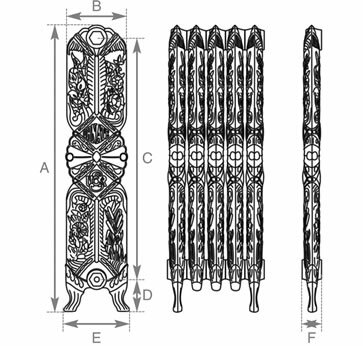 It is further enhanced by the unique figure-of-8 shaped design. 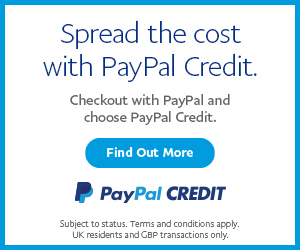 As a taller and slimmer radiator it still retains an impressive heat output. 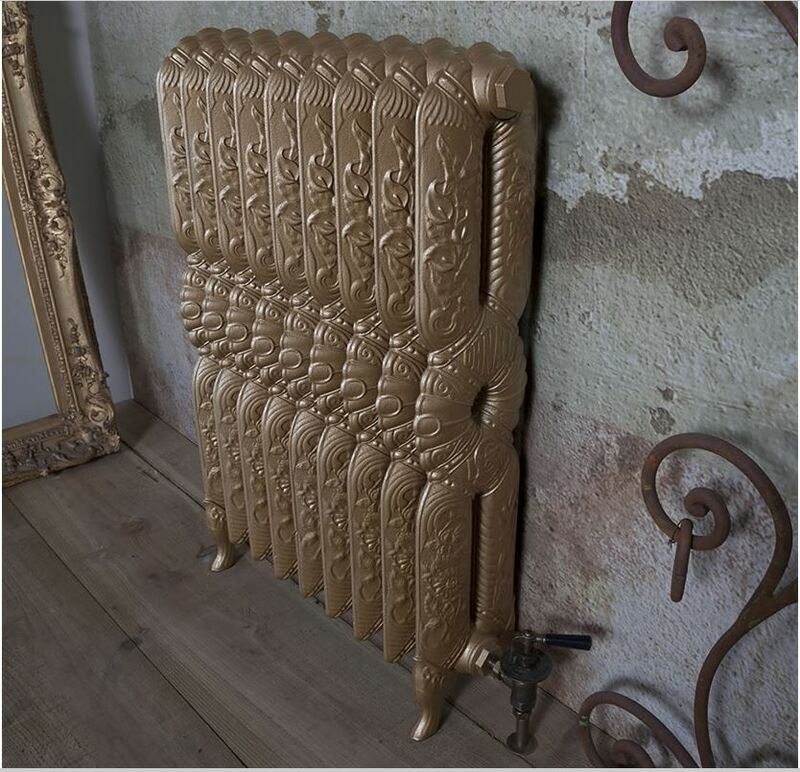 The ornate cast iron radiator comes in a height of 940mm tall and a depth of 220mm. It gives a substantial heat output of 549 BTU’s per section based on Delta 60.